As the home to the first homecoming ever, it’s only right that Mizzou have one of the largest ones in the nation each year. This year, homecoming will be celebrated the week of October 22nd, with the week culminating in the football game against Kentucky at 11 a.m. on Saturday the 27th. Player’s on the field at MU’s first homecoming football game. Chester L. Brewer, MU’s Director of Athletics, had a vision. His vision, to add some excitement to the rivalry, was to invite alumni to “come home” for the game. As part of this celebration of “coming home,” there was a parade and spirit rally to coincide with the actual game. 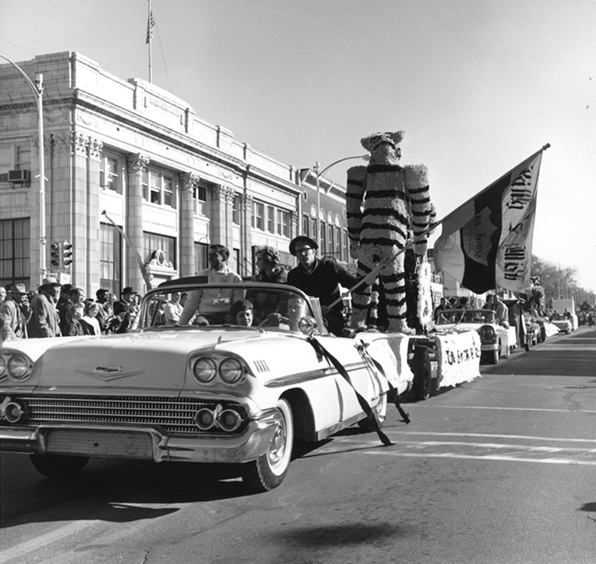 In 1911, with a spirit rally, parade and more than 9,000 fans packed into Rollins Field (current site of Stankowski Field), the tradition of “Homecoming” at the University of Missouri and has served as a model for the various Homecoming celebrations that take place across the nation. 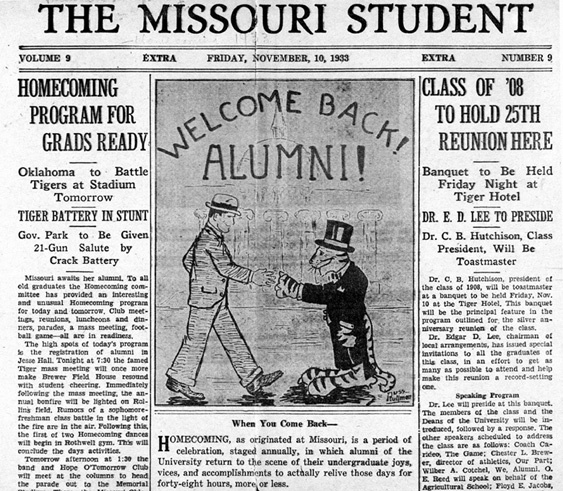 Since that first homecoming in 1911, Mizzou’s homecoming has only grown and improved. Those at homecoming are welcomed in 1933. Things are more live and in color now, so keep checking back this week to learn more about this year’s festivities. And welcome home!